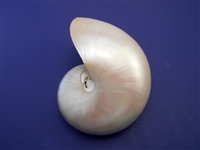 Pearl Nautilus Shell (2-3") ea. Pearl Nautilus Shell (3-4") ea. Center Cut Pearl Nautilus (4-5") ea. Tri Cut Pearl Nautilus (4-5") ea. Center Cut Pearl Nautilus (5-6") ea. 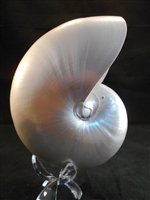 Pearl Nautilus Shell (4-5") ea. 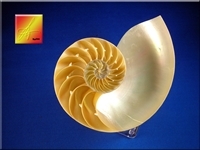 Pearl Nautilus Shell (5-6") ea. Tri Cut Pearl Nautilus (5-6") ea. 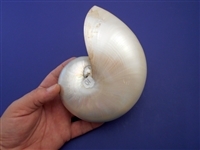 Pearl Nautilus Shell (6-7") ea. Center Cut Pearl Nautilus (6-7") ea. Tri Cut Pearl Nautilus (6-7") ea. Pearl Nautilus Shell (7"+) ea.